It's an exciting time to be a part of Palm Springs, California with the multi-million dollar renovation of downtown taking place over the next several years. The renovation will include new shops, hotels, parking structures, parks and so much more. While still under construction, Palm Springs has already been named as one of the Best Places to travel in 2015 by Travel + Leisure. 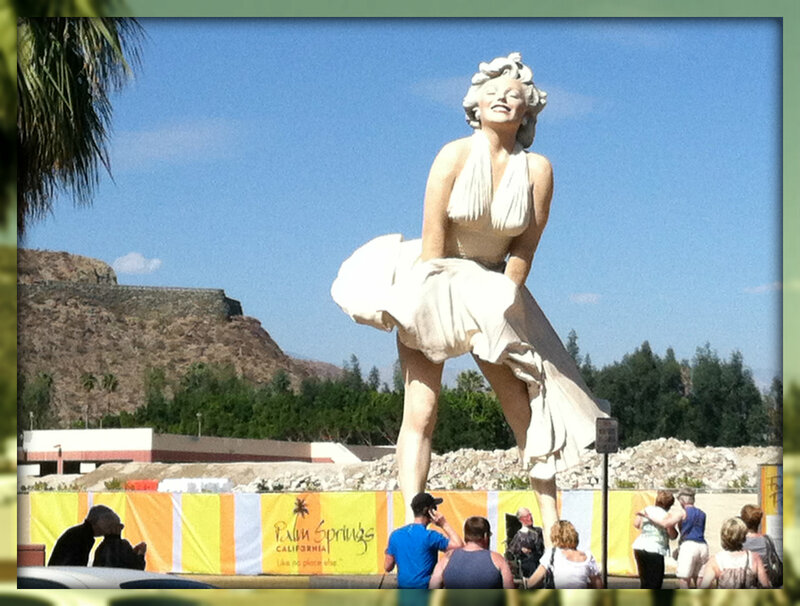 Palm Springs is the world’s most famous desert playground! While here take a ride on the Palm Springs Aerial Tramway, experience the serenity and beauty of the Indian Canyons, stroll through Village Fest on Thursday evenings or enjoy a dinner at one of the many restaurants on South Palm Canyon Drive. Whatever your reason for living in Palm Springs, you'll find homes for sale and condos for every lifestyle and budget. Perhaps the former home of Bob & Delores Hope fits your style. Or choose from the hundreds of other homes available. As a local Realtor I may be able to find a home with your specific criteria easier than you. For a more defined list of homes that fit your specific needs, please contact me today at (760) 799-8460. Find the proximity of grocery stores, restaurants, healthcare services and more from Palm Springs. 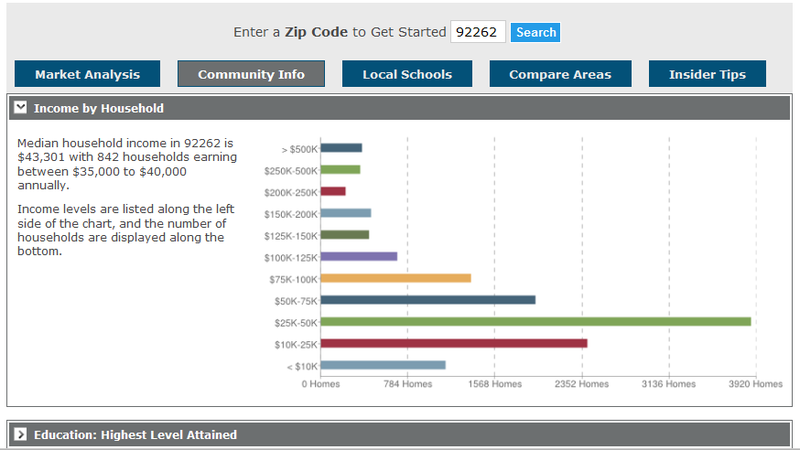 Find local statistics on the average household income in Palm Springs, median age, education level, & crime risks of homeowners in Palm Springs.